With the release of the new Book Club the Eileen Hull's Inspiration Team is sharing projects all month. Make sure to watch all month long. 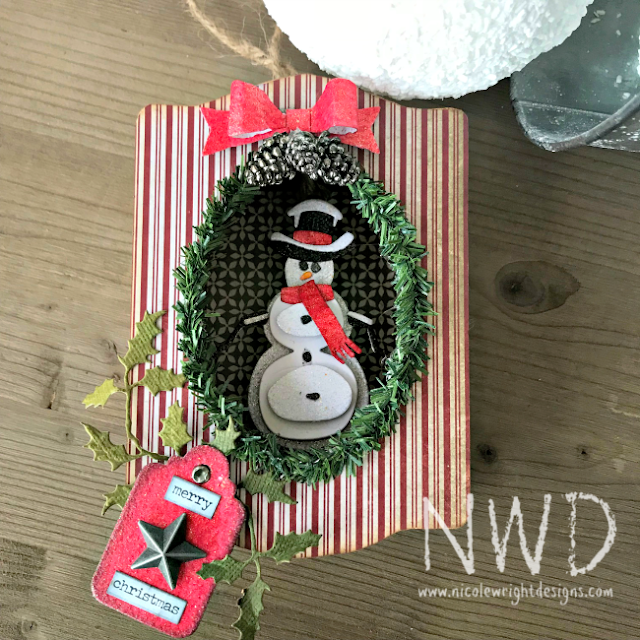 Today I am sharing my Trinket Box & Frame ornament with a Snowman tucked inside. 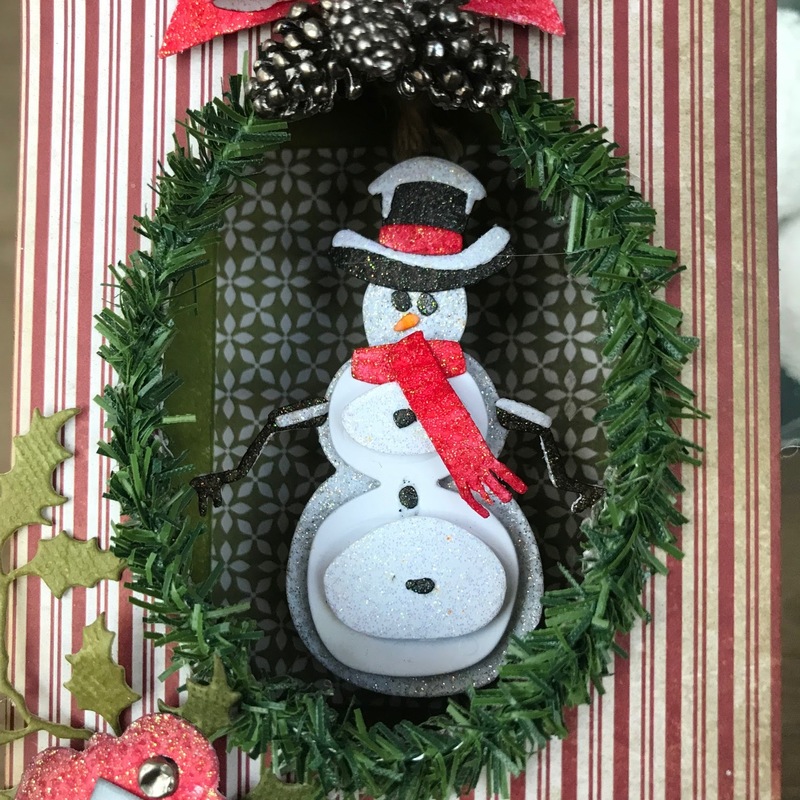 My new dies aren't here yet so I had to done fancy cutting for the Trinket Box & Frame. 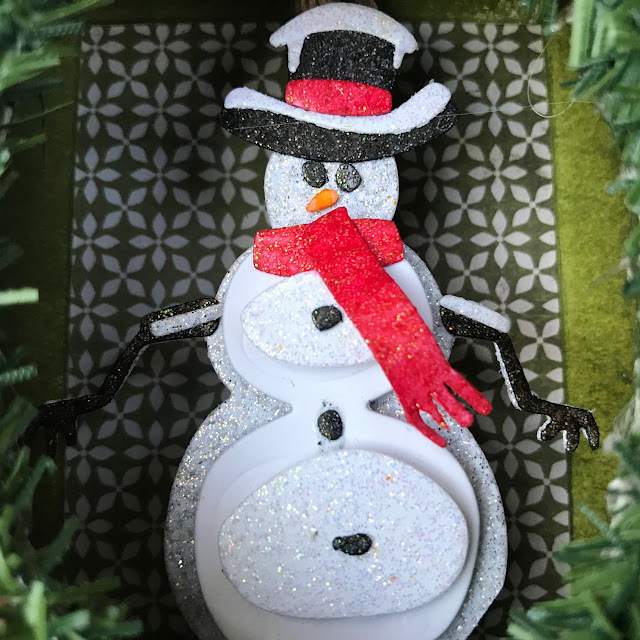 I layered the Snowman Scene Thinlits on Super Stock Card Stock and Glitter Paper I have on the magnetic platform. The teeny accessories are inked with distress spray stain. 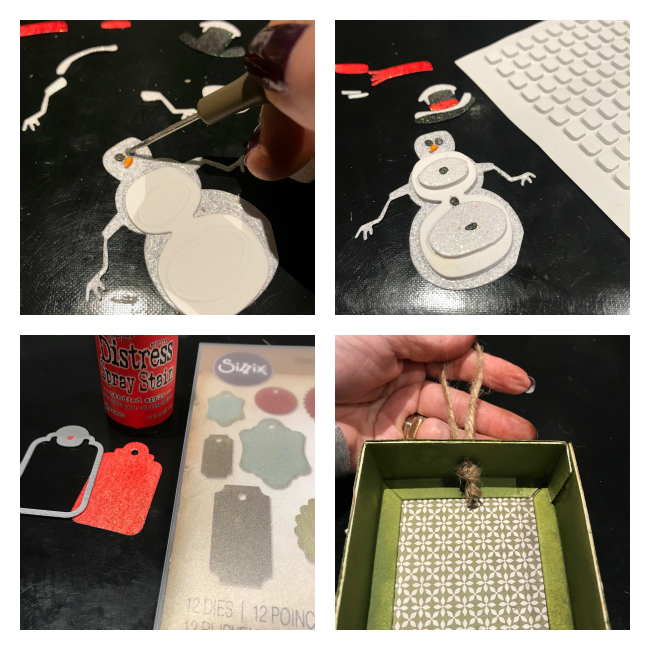 I popped the layers and made a Gift Tags label. I used a punch on the top to allow some twine to tie off to hang for an ornament. 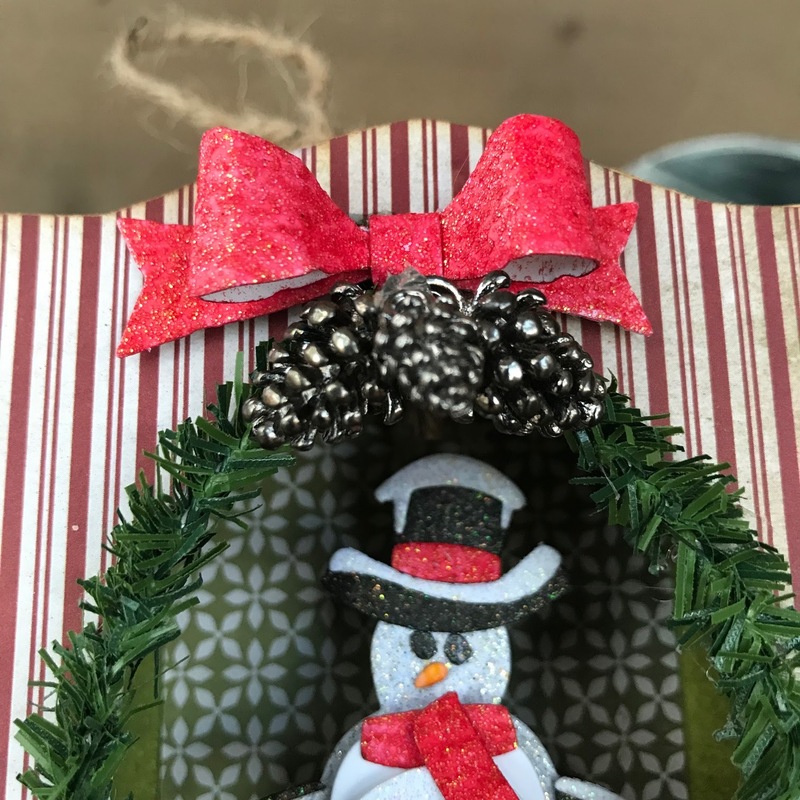 I have these little wood blocks I use for dimension and attached to the Snowman. 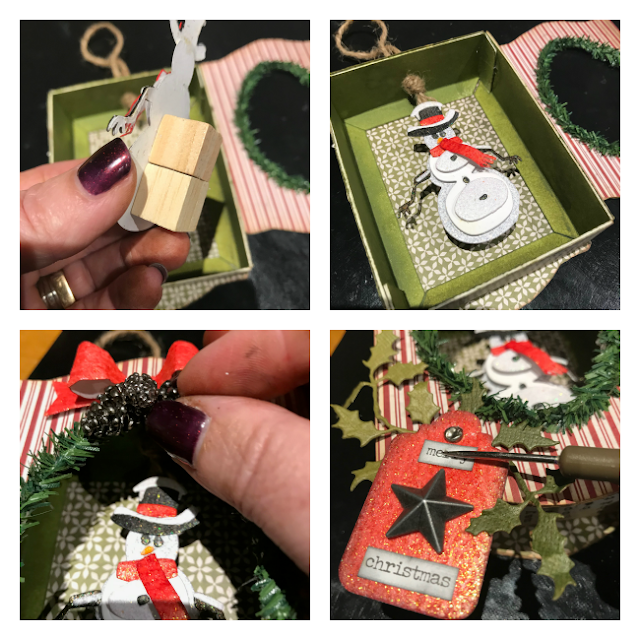 Attach some seasonal embellishments. Follow the Inspiration Team along all month long for endless inspiration. I am looking forward to putting up my tree for this new ornament to hang on. 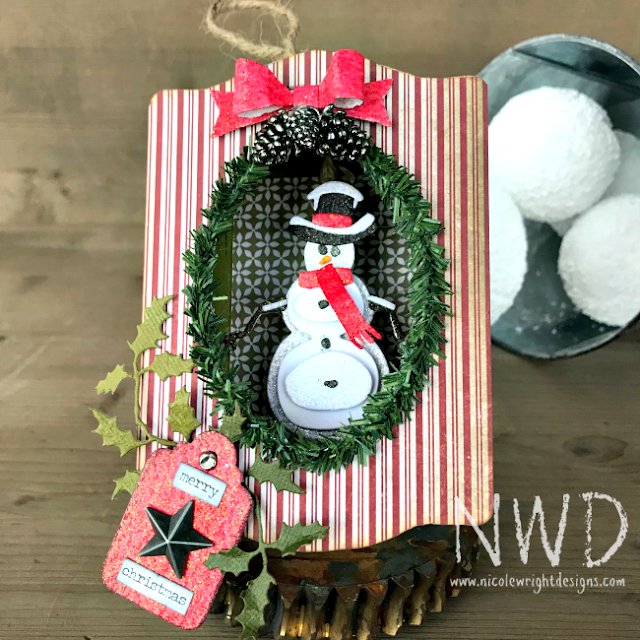 I am sharing my Trinket Box & Frame Ornament with A Vintage Journey for their Winter Wonderland Challenge. The trinket box is wonderful. I can't wait to get this die. As always, great design and fun project. 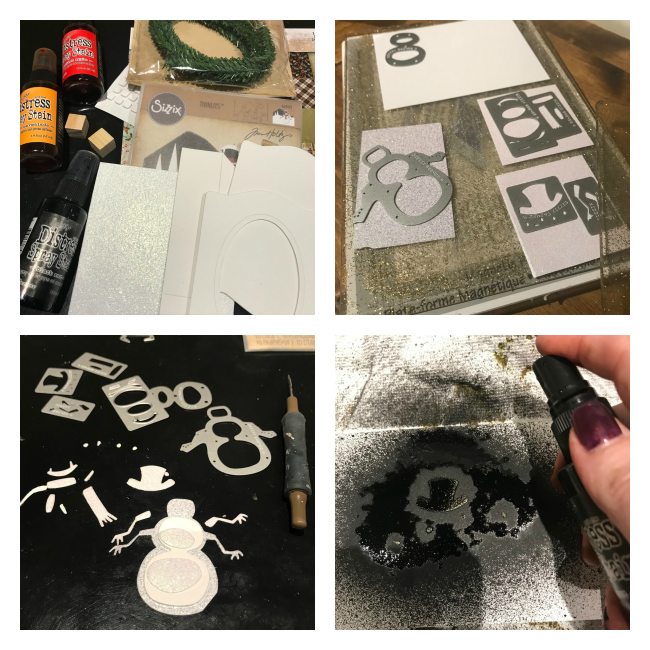 So enjoyed seeing how you made it. Thanks for joining us at A Vintage Journey.